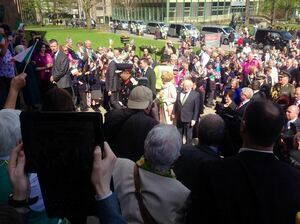 At the Embassy of Cuba on Pearse Street, Dublin 2, this morning. 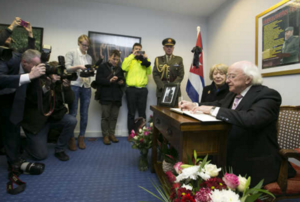 President Michael D Higgins, accompanied by his wife Sabina, signs the book of condolence for the former president of Cuba, Fidel Castro, who died on Friday night, aged 90. 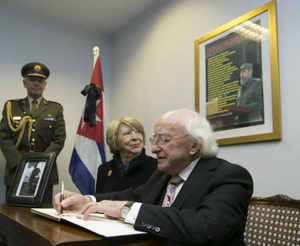 Posted in Misc and tagged book of condolence, Fidel Castro, Michael D Higgins at 12:30 pm on November 28, 2016 by Broadsheet. Anyone able to read what he done wrote? Try giving our Prez a break. Some of the most outrageous war criminals in history have been eulogised in the not too distant past. If a lucky bomb landed on Basher Al Assad tomorrow, we might have a national day of mourning. Bit of proportion please. PS on another note, our Government are urging a drugs Company to “put people before profit”. Does anyone else notice something radically wrong with this statement?? Chill yer boots boss, as I said earlier, I forgive MDH his eulogy of Castro and have moved on. 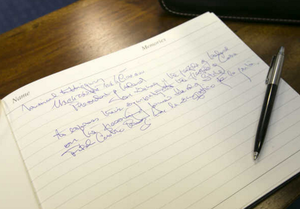 But… I can’t read the above mesaage he has written and am just curious. Congratulations, you passed your reading exam. This Jesuit thing is new. Explain. ….put a sock in that argument, it’s been done, and knocked. I think it was written on behalf of the good people of Ireland. So only us socialists. 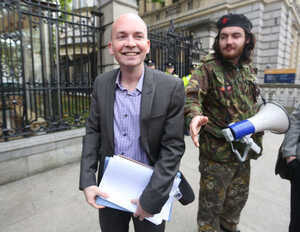 that particular hat does not suit you clamps, unless you were dressing up like human/steve/jake38 for the craic like. @Clampers – many of your recent posts intrigue me: I think you’re ready to embrace the Dark Side. is it not a verse from ‘viva la quince brigada’? his partner looks very uncomfortable. His partner is in the picture? This contrived fake “outrage” is getting tiresome. RIP Fidel. Ah, big fan of Guantanamo Bay and all that goes with it, Jusayinlike? Right so, now we know what we’re dealing with. And you arrived at that conclusion how? nothing? a world leader in health care? near-elimination of illiteracy? nothing? In fairness, those counter-revolutionary traitors* that didn’t end up in a shallow grave were able to keep that world-class health system ticking along nicely. Didn’t have much choice did they? Hardly time for anyone to get their hair done and be Rhona O’Mahoney when a firing squad is your motivator. How can you say that? This is DeV/Hitler all over again! 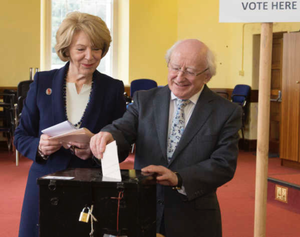 The World’s media will be informing their mobs and an international day of pointing at Ireland and muttering will be organised. At this very moment Trump is dancing a merry jig at losing his title of most hated head of state. Woe! and probably Ochón! You fidel while homo rights burn. People need to got over this. He was know as Bravo 2 Zero at school. Two orifaces. 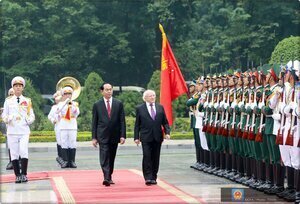 An embassy………. on Pearse St? Gosh. Seems very odd. Whats next? A consulate in Darndale? What would be wrong with a consulate in Darndale? Please explain. NOBODY smokes menthols in darndale.. The little feckin pinko. He deserves to made stand in a pool of his own wee while an electric current is passed through his tiny little ball.